If there’s one thing I miss more than noodles and doughnuts, it’s being able to go out for a pizza. So I am very pleased to spread the word that Dominos, Pizza Hut and Prezzo are ALL OFFERING GLUTEN FREE PIZZA! How many times have I walked or driven past Pizza Hut and wanted to kick something!? Now when my friends all get Dominos at New Year’s Eve, I can actually join in instead of having to COOK my own!! High street pizza restaurants delivering food for the gluten-free diet. Improving the availability of gluten-free food is one of the Charity’s key strategic aims and following feedback from our Members, Coeliac UK continues to work extensively with the catering sector to increase their understanding and see improved gluten-free food provision. Now with our new catering training courses and accreditation system we are starting to see real positive changes that will make eating out gluten-free easier for everyone with coeliac disease. We are therefore delighted to confirm that there are now three companies who have announced they will be offering gluten-free pizzas. Domino’s will be the first UK pizza delivery company to launch a gluten-free accredited product at the beginning of November. Domino’s has spent the past few years working with Coeliac UK and carrying out research into gluten-free pizza bases in order to provide safe gluten-free choices through its network of more than 740 stores. They are currently training all their pizza makers on the new product ready for launch, to make sure that they understand the controls around handling gluten-free pizzas and ingredients. The new gluten-free pizza will be available to order for delivery from Domino’s at no additional cost. For further information about the November launch, keep checking Domino’s Facebook page or follow Domino’s on Twitter. After close consultation with Coeliac UK and following extensive research into their customer needs, Pizza Hut have developed a new gluten-free pizza base that meets the No Gluten Containing Ingredients (NGCI) accreditation. The pizzas will be available in store (not take away) from Monday 8 October at no additional cost for the gluten-free option. 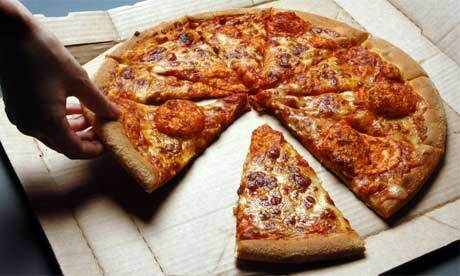 Pizza Hut keep all their dough separated throughout the entire product journey to ensure that it doesn’t come into contact with floured dough bases and they’ve made all their toppings gluten-free throughout their restaurants. They also use separate sauces for their gluten-free pizza bases, which are also stored separately, and separate utensils are used for making each product. All their team members are receiving in depth training so they rigorously clean all the food preparation areas, and they have a thorough hand cleaning process before they make any gluten-free pizzas. Prezzo is now serving gluten-free pizzas in all of its 173 restaurants across the UK, following a successful trial including testing. Customers can now choose a gluten-free pizza from its complete range of 13 classic stone-baked pizzas. To see reviews of the Pizza Hut and Dominos pizzas, visit my blog here. What do you think of the news? Are you worried about contamination? Should this have been done sooner? Let me know what you think and visit my blog at www.theglutenfreeblogger.com! What fantastic news for people with coeliac disease. Thanks for writing this blog to let everyone know.